The country of Finland is known for its design, technology, and social institutions that provide for a high quality of life and a world class education system. It is no suprise that researchers in Finland are setting the standard for participatory GIS research in Europe and beyond. 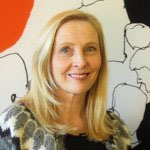 A research group led by Dr. Marketta Kytta at Aalto University are the leaders in urban PPGIS applications as well as innovative research on particpatory GIS involving children and the quality of urban environments. They have developed internet-based software called softGIS that can be customized to collect a variety of spatial attributes about everyday urban living and quality of the urban environment. She and her research colleagues have completed about 20 PPGIS studies worldwide. Her research on participtory mapping with children to identify mobility patterns and child-friendly urban environments is novel and ground-breaking research. You can find her publications on children's mobility here and child-friendly environments here. Example of softGIS application for mapping cultural ecosystem services. 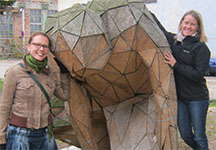 At the University of Turku, Dr. Niina Kayko and Dr. Nora Fagerholm have been pioneers in mapping landscape services in Africa and relating these services to physical changes in the landscape. They have published a number of important articles describing this research. 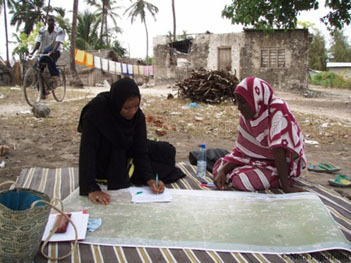 For example, one article describes the geographical patterns of the social landscape values of rural communities in Zanzibar, Tanzania (here) while another article describes the mapping of landscape services (here). Mapping of landscape services in Zanzibar, Africa.